The youngest brother is a made man. Coupeville High School senior Bryce Payne, in his first season with the Wolves, walked and came around to score Saturday, one of the bright spots in a 13-1 loss to visiting Overlake. While the non-league defeat drops the Wolves to 0-2 as they prepare to head into their first league series, small things like quality work from Coupeville’s pitchers and the identity of the player who scored the lone Wolf run, made the day better. 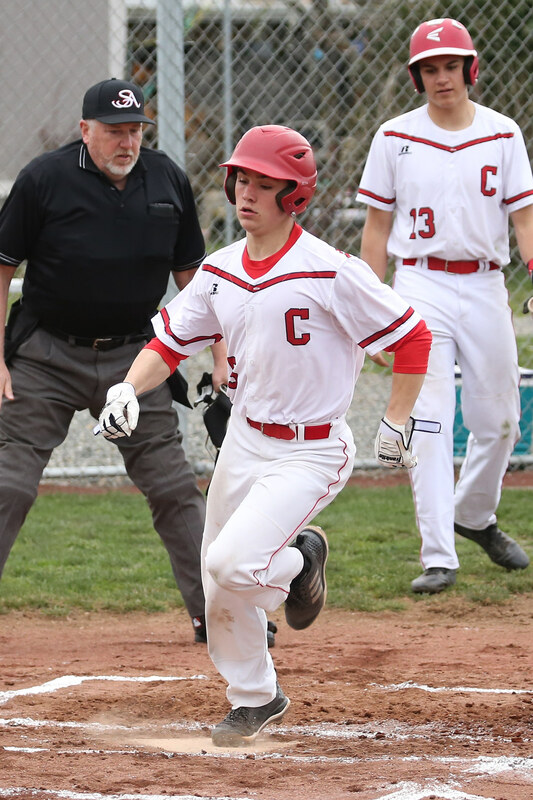 Bryce follows in the footsteps of older brothers Morgan and Cole, both four-year players, and his first run in a Wolf uniform means the Paynes are one of the few families to have three different players score in a CHS varsity baseball game. I’m pretty sure there’s a couple of others, probably with names like Zylstra, Cook, or Keefe, but I can’t say for sure, as Coupeville’s baseball history is scattered across many long-missing score books and lineup cards. Either way, the Paynes are surely in an elite fraternity now, and that’s pretty special. 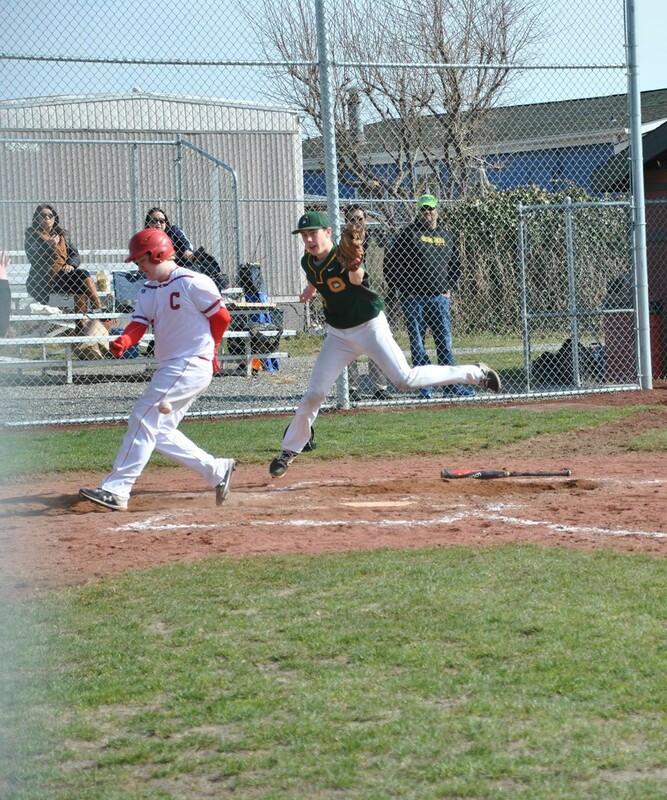 Overlake, a ritzy private academy, came out firing Saturday, putting up three runs in the top of the first, then adding another seven during a 12-batter second inning. Their hosts had a few chances to score, most noticeably in their half of the first, but the Wolves couldn’t plate a runner until the bottom of the fifth (and final) inning. After the first two CHS hitters went down in the bottom of the first, the Wolves juiced the bags on a single from Jake Pease, an error which allowed Dane Lucero to scamper to first, and a walk to Ulrik Wells. Coupeville fans leaned forward in their seats, anticipating a possible big explosion, but it wasn’t to be as Overlake’s pitcher escaped the jam with an inning-ending strikeout. After that, the Wolf offense hit a bit of a wall for awhile, going one-two-three the next two innings. 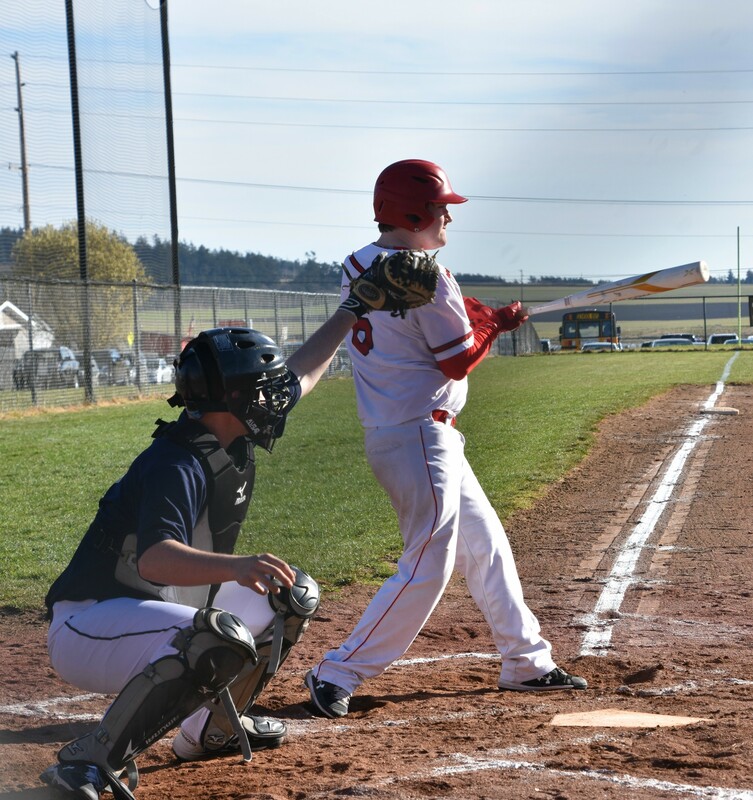 A fourth-inning single from Gavin Knoblich snapped the dry spell, then Coupeville loaded the bases again in the bottom of the fifth. Walks to Payne, Hawthorne Wolfe, and Pease put a runner atop every bag, before Payne made a mad dash home to score on a passed ball. Any hopes of an epic comeback withered on the vine, however, as a ground-out to the Overlake shortstop brought the game to an end. While he’s always looking for a win, Coupeville coach Chris Smith knows he has a young, fairly inexperienced team on his hands, after losing a large class to graduation. Improvement, in big and small ways, is job #1. “Pretty happy with our pitching so far,” Smith said. “We had Dane, Hawk and Matt (Hilborn) throw yesterday and Daniel (Olson), Cody (Roberts), and Matt throw today. Pitching has been doing a pretty good job overall. Coupeville wades into the start of league play next week, and gets to face the biggest and baddest of them all, Cedar Park Christian, early. The Eagles, who lost 7-4 to 3A Juanita in their only game this season, finished second at the 1A state tourney in 2017, then followed that up with a 4th place showing in 2018. The teams meet three times next week, playing Monday and Friday in Bothell, while clashing Wednesday in Coupeville. After that, the Wolves face their final three non-conference foes, Chimacum, University Prep, and Friday Harbor, before playing 12 games against league foes King’s, South Whidbey, Sultan, and Granite Falls.